A Collaborative research titled “Opportunities for Social Value Creation Through Project Procurement: A Comparative Study of UK and Ghana” has taken place between some lecturers of Kumasi Technical University (KsTU) and Dr. Emmanuel Manu of Nottingham Trent University (NTU), UK. The KsTU lecturers were Dr. Sarfo Mensah, Dr. Ing. Collins Ameyaw while Dr. Emmanuel Manu is a faculty member of Nottingham Trent University (NTU), UK. Both Dr. Sarfo Mensah and Dr. Collins Ameyaw are from the Department of Building Technology in KsTU while Dr. Emmanuel Manu is with the School of Architecture, Design and Built Environment of the NTU. 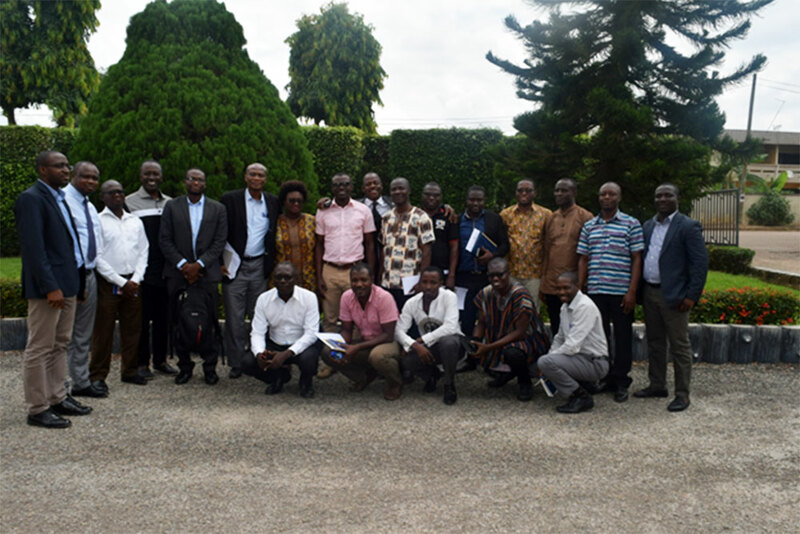 As part of the research process, a very informative workshop was organised in Kumasi to sharpen the skills of procurement officers in some public institutions. They included officers from Komfo Anokye Teaching Hospital, Kumasi Metropolitan Assembly and some public universities. Others were Quantity Surveyors, Architects, and Engineers, experts from the Department of Urban Roads, Highways, Feeder Roads as well as Building Road and Research Institute (BRRI).